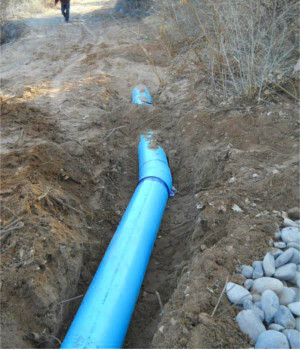 The work consisted of clearing and grubbing, the preparation of subgrade, and the placement of approximately 537 ft. of 36" High Density Polyethylene Pipe and fittings, backfill. 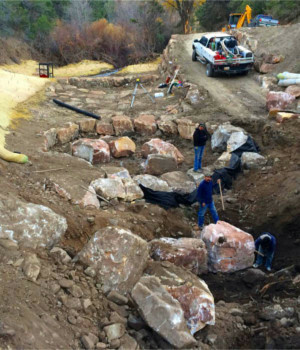 The work consisted of the rehabilitation of the existing diversion structure by the installation of boulder step pool structures, a grade control structure, and rock walls. A new irrigation heading structure and 24" dia. headgates were fabricated from steel. Restoration of the project area included seeding and stabilization of disturbed areas with erosion control blanket, and willow livestake plantings along the river banks. 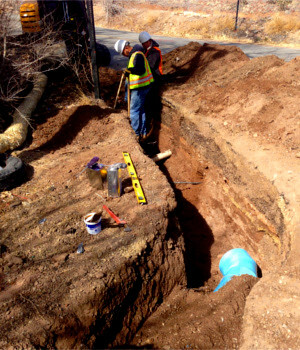 The work consisted of the excavation of a trench, placement of up to 1,560 ft. of 12" PVC pipe including related fittings and valves, backfill, replacement of pavement and testing of the installed pipeline. 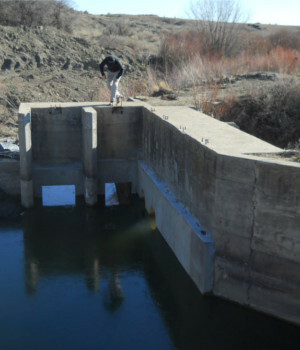 The work consisted of the removal of a 36" CMP siphon and concrete intake and outfall structures. 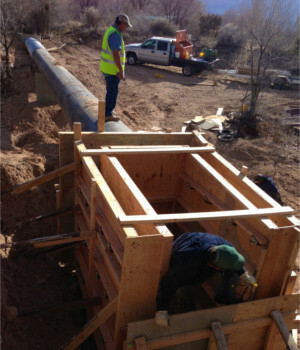 Work included the construction of an arroyo crossing consisting of 45 feet of 36" CMP, 54 ft. of 36" steel pipe, reinforced concrete abutments, intake and outfall structures. Contrator: CJ Mead Construction Co., Inc. 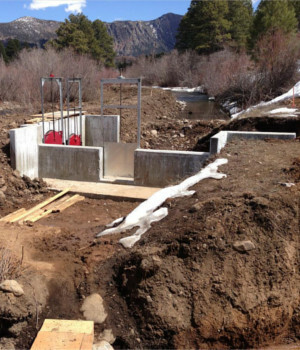 The work consisted of clearing and grubbing, erosion and sediment control, construction of a reinforced concrete irrigation heading structure, gate installation, CMP and metal work, placement of compacted earthfill, water control and distribution during construction and site restoration. The work consisted of clearing and grubbing, the preparation of subgrade, and the placement of approximately 1,245 ft of 36” of Corrugated Polyethylene Pipe including pipe intake, sluice, and outfall structures. Contractor: Randy Sena Construction, Inc. The work consisted of the excavation and placement of approximately 847 ft of 12” SDR 51 PVC Pipe, backfill, and site restoration. Contractor: R. Minnix Construction, Inc. The work consisted of the furnishing of all labor, material, transportation, tools, supplies, equipment, and appurtenaces necessary to control surface and ground water to rehabilitate the CS canal heading, excavate and remove sediment from river channel, excavate earth and placement of backfill, demolish and remove existing turnouts, install corrugated pipe, install reinforced concrete wier, furnish and install water control gates and installation of rip rap.